About $140 million to be withheld from PA, in line with what was paid to terrorists last year. The political-security Cabinet decided on Sunday to implement the policy to offset the Palestinian Authority's payments to terrorists. Under the law passed by the Knesset in July 2018, NIS 507,697,000 ($140,350,300) in tax revenue will be withheld from the PA. According to a Defense Ministry report, the PA paid that amount to terrorists in Israeli prisons, to released terrorists, and to their families in 2018. The government will withhold funds equal to what the PA provided to terrorists last year. 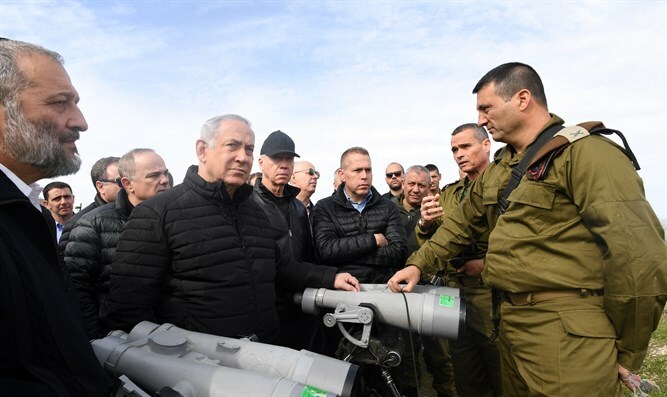 Prime Minister Binyamin Netanyahu, who also serves as Defense Minister, instructed the security forces to examine further payments that the PA pays in connection with terrorism to terrorists and their families. Education Minister and New Right chairman Naftali Bennett said that "the despicable Palestinian terrorist who murdered Ori Ansbacher, is expected to begin receiving a monthly salary of NIS 20,000 in the coming days. The terrorists are no longer afraid, and at this moment the terrorists are preparing the next terrible murder of Jews, because they know that they are expecting an economic 'exit' from their salary and their family for life." "The prime minister must use the law to offset terrorist money that has passed but has not yet been activated," Bennett said after the murder. "I and Justice Minister Ayelet Shaked undertake to charge the Prime Minister in the political-security Cabinet and to act to bring a majority of votes for this step, in the face of all international pressures."